ROYAL fans have been left divided after new footage of Meghan Markle entering the church at her Royal Wedding to Prince Harry emerged showing the beautiful bride receiving her boquet from a mystery woman. 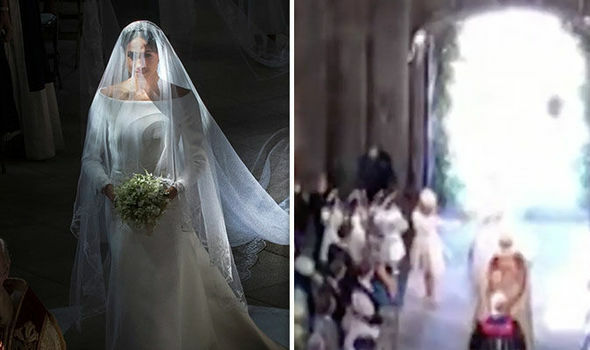 When Meghan entered St George’s Chapel there was immediately a woman waiting in the wings to give the new bride her bouquet of flowers before she married her prince. 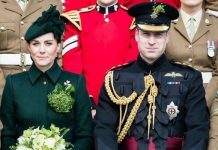 The video, published on an Instagram account dedicated to royal fans, quickly prompted fans to debate who the bouquet-minder was. Meghan’s sister-in-law Kate was a quick contender, with her cream outfit and headpiece similar to that of the mystery woman. One wrote: “I think it was Kate as the person who handed her the flowers had long sleeves on. Others were quick to gush over how “sweet” and “lovely” Kate was for taking up the honour. 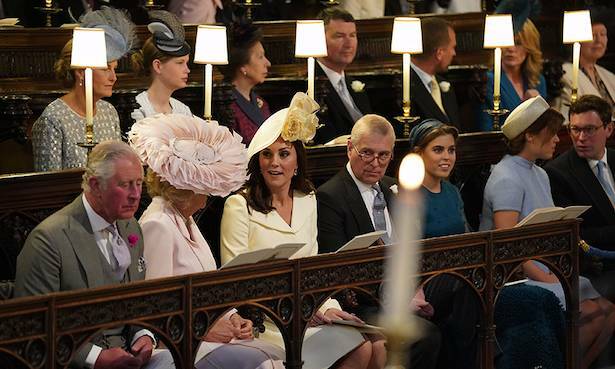 But eagle-eyed fans quickly pointed out that the Duchess of Cambridge would have been at her seat before Meghan met her prince at the altar and would not have walked down the aisle behind the bride. So the mystery helper was in fact Samantha Cohen, the Queen’s former special advisor. Ms Cohen, 49, agreed to stay on as an interim secretary to Meghan and her new husband Prince Harry following their Royal Wedding, despite handing in her resignation last September. 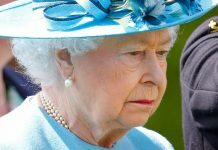 Buckingham Palace was plunged into a state of uncertainty when Ms Cohen, the Queen’s assistant private secretary, announced her departure following reports the Queen’s private secretary Lord Geidt had been ousted last year. But the new Duchess of Sussex has is now spending six months learning how to be a member of the Royal Family with the help of Ms Cohen. Previous articlePrincess Charlotte: Will Charlotte get the title Princess Royal?